Donald Trump with son Donald Trump Jr. during the Republican National Convention, in Cleveland, last July. 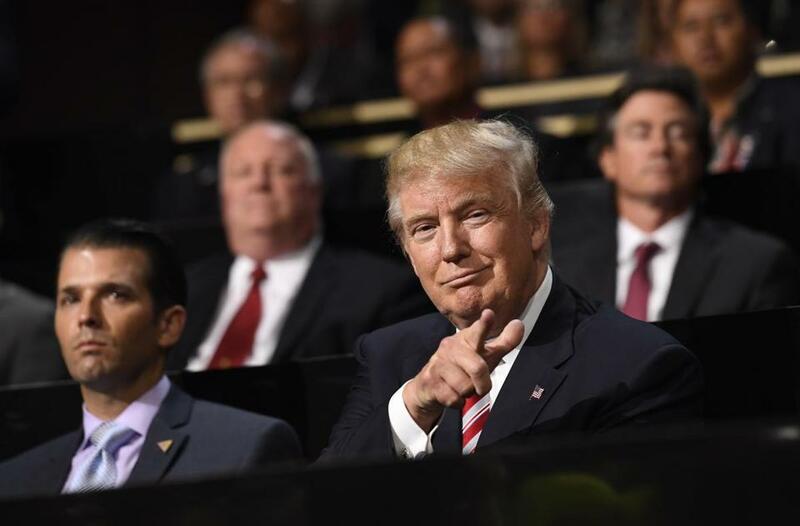 On Tuesday, America entered a new political world — one in which we now possess incontrovertible evidence that those around the president of the United States (and perhaps the president himself) sought to conspire with a foreign government to win a presidential election. The only thing left to figure out is how deep this goes and whether laws were broken. But no matter the legal fallout, this is an American tragedy. Not for Donald Trump or his son Donald Trump Jr., or his son-in-law, Jared Kushner, all of whom have consistently shown themselves to be contemptuous of the rule of law, America’s political traditions and values, and the American people themselves. They will get what they deserve. The tragedy is that a man of such ill repute could ever have been elected president and will — with the complicity of gutless congressional Republicans — remain there for the foreseeable future. Indeed, perhaps the most underappreciated aspect of this whole sordid affair is that it exposes the con game being played by Trump and his enablers, and, in particular, the incessant, emphatic, and repeated lies that have emanated from the Trump camp about Russia. Literally six weeks after Trump Jr., Paul Manafort, and Jared Kushner sat down with a Russian lawyer, who was promising dirt on Hillary Clinton from the Russian government, both Trump Jr. and Manafort publicly denied that any collusion had taken place. 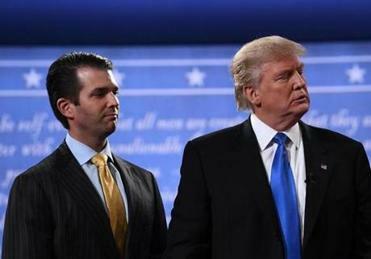 The messages show Donald Trump Jr. was told that a Russian official had information that could ‘‘incriminate’’ Hillary Clinton. We now know both men were lying. Trump and his minion are liars and charlatans, but if this latest scandal shows us anything, it’s that they’re not too bright, either. Read the e-mails between Trump Jr. and Rob Goldstone, the facilitator of the meeting with this Russian lawyer. This communication is so ham-handed — and so unambiguous in its intention — that it reads like a spam e-mail crafted by a fictional Nigerian prince intended to entrap someone. Perhaps that was the intention: an effort on the part of Russian intelligence in the early stages of the 2016 general election campaign to feel out the Trump camp’s interest in colluding with the Russian government. Or, perhaps, it was an effort to plant blackmail material, i.e., direct evidence of collusion with a foreign government that would be highly embarrassing if it ever became public. Of course the only way a plan like this works is finding a mark both clueless and morally challenged enough to take the bait. Enter Donald Trump Jr.
Whatever the real motivation by Russian officials, it’s a worthwhile reminder of the one truism of the Trump presidency and the Trump family. If Occam’s Razor posits that the simplest explanation is usually the best one, Trump’s Razor posits that the dumbest, most corrupt, least ethical explanation is the right one for this clan. There is no Machiavellian plotting afoot, no purposeful distractions, and no 16-dimensional chess being played. Fools and hucksters, whose very presence in the White House is a daily debasement of the values and traditions that once made America great, are governing this country. The tragedy is that we ever let it happen.